Established in 1963. Sense the long history from the warehouse type soft stone fac,ade built in 1915. 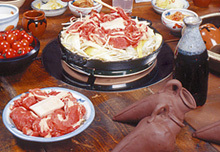 The Royal Family and VIPs have been entertained at this restaurant in the past. 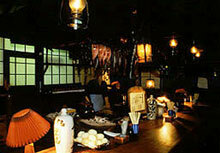 A relaxing space of nine Japanese style rooms, decorated to exhibit the culture of Hokkaido. Enjoy local cuisine courses in a relaxing atmosphere with main dishes made from the freshest seafood caught on the very morning from the nearby ocean. All menu prices doesn't include tax. 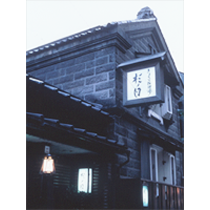 In the case of the room use, 15% service charge will be added to the total and 1,000 yen is received as a room fee. In the case of the counter seat use, 10% service charge will be added to the total. 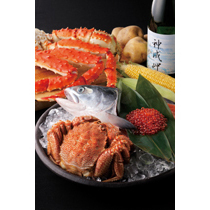 If you order alacarte, 1,300 yen will be added to the price as amuse and appetizer.